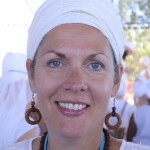 Sat Charan Simran, B.S.W., is a certified Kundalini Yoga Teacher, a Beyond Addiction instructor and trainer, an Addiction Counsellor, a student of Ayurvedic Medicine, and a Social Worker of 25 years. Sat Charan Simran managed the Beyond Addiction Program in Vancouver 2012 and teaches weekly support yoga classes in the Beyond Addiction program in Vancouver, BC. She has a passion for wholistic health, spirituality, counselling, and supporting others to achieve optimal wellness – physically, mentally, and spiritually. Sat Charan Simran has taught yoga to individuals and groups at various locations for several years, and has supported and counselled people facing life challenges for 25 years.